The Classic Plus Serge contains all of the first generation Serge modules. It is an idealised EuroSynth version of Doug Lynner’s Mystery Serge. The Classic Plus Serge allows for various multi-voice patching configurations and so many patch programmable functions that they can’t all be covered here. 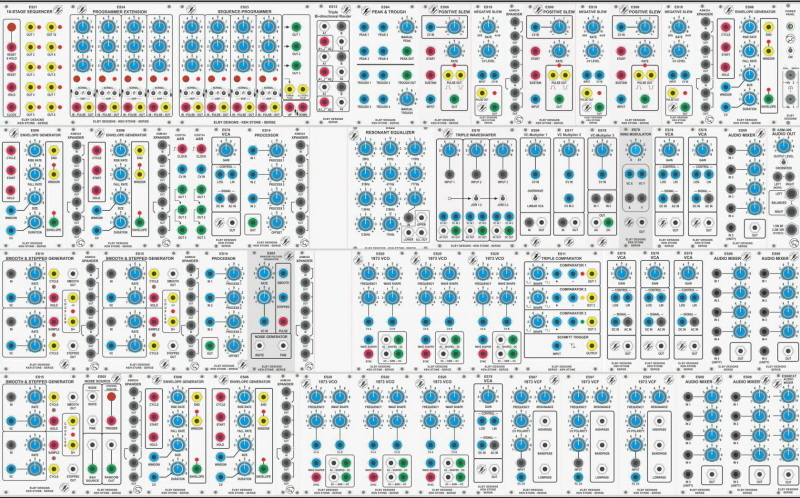 But for comparison, the Classic Plus Serge has 23 modules that can be used as VCOs compared to 4 in The Teaser Serge.